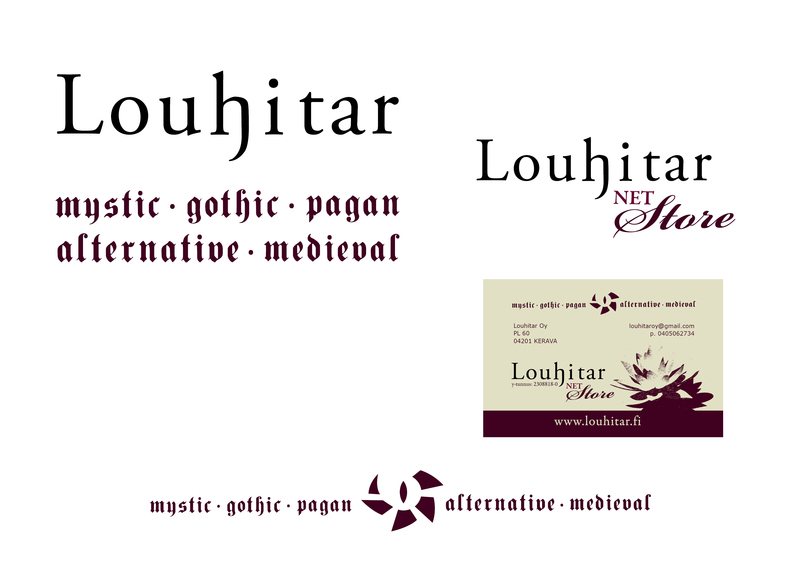 Logo Design and Branding for a alternative/pagan webstore Louhitar. 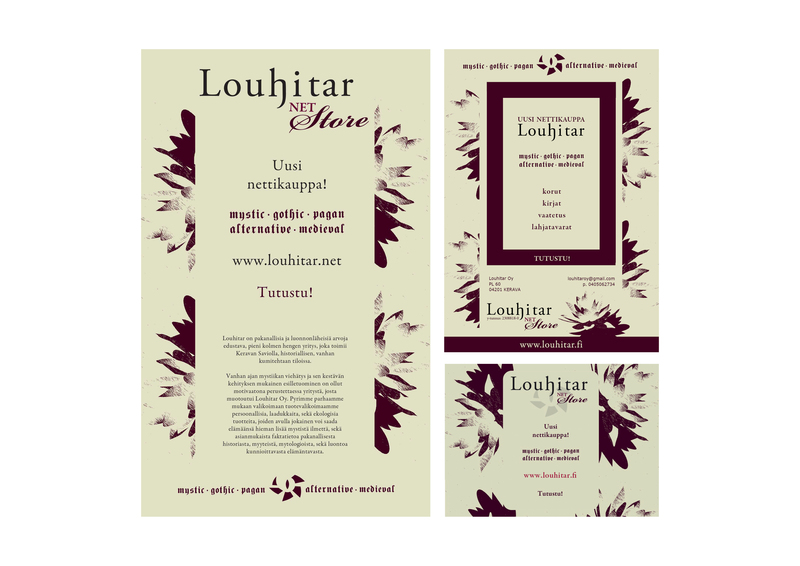 Design included both written logo and a picture-logo used separately, aswell as a sign for their webstore used both as a logo and a link, plus the looks of their slogan/description. Project also included calling card and some advertisement made both as web banners and for print media.